BACK TO EDEN: Simple. Sustainable. Solutions. After years of back-breaking toil in ground ravaged by the effects of man-made growing systems, Paul Gautschi has discovered a taste of what God intended for mankind in the garden of Eden. Some of the vital issues facing agriculture today include soil preparation, fertilization, irrigation, weed control, pest control, crop rotation, and PH issues. None of these issues exist in the unaltered state of nature or in Paul’s gardens and orchards. 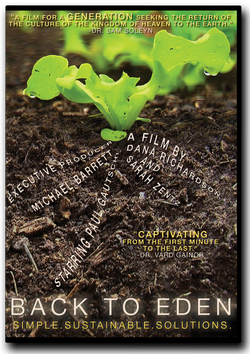 “Back to Eden” invites you to take a walk with Paul as he teaches you sustainable organic growing methods that are capable of being implemented in diverse climates around the world. RADICAL JEWELRY MAKEOVER: A traveling community mining and recycling project. 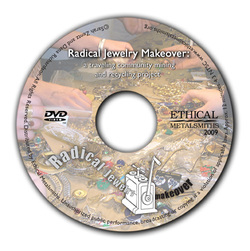 Following the fourth edition of Ethical Metalsmiths' project, Radical Jewelry Makeover (RJM), this short documentary digs into the experiences of artists and jewelry donors during a two-week workshop at Penland School of Crafts, NC. 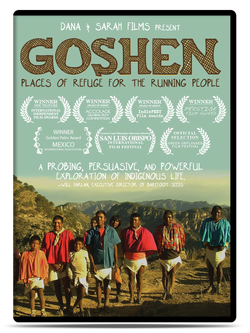 The film showcases the project and features interviews with artists, donors and jewelry from the Makeover.